Ron Hainsey is the only current Toronto Maple Leafs player with his name on the Stanley Cup. And, if Hainsey’s teammates wish to engrave their names on Lord Stanley’s mug, they will have to count on the wily veteran now more than ever before. In their first-round matchup of the Stanley Cup Playoffs against the Boston Bruins, sound defensive play will prove crucial to the Leafs’ potential success. Due to the Bruins’ electrifying offensive attack, Toronto’s blue line — and Hainsey, in particular — must perform to the best of their abilities if they wish to deflate their long-time rival and suddenly surging juggernaut. 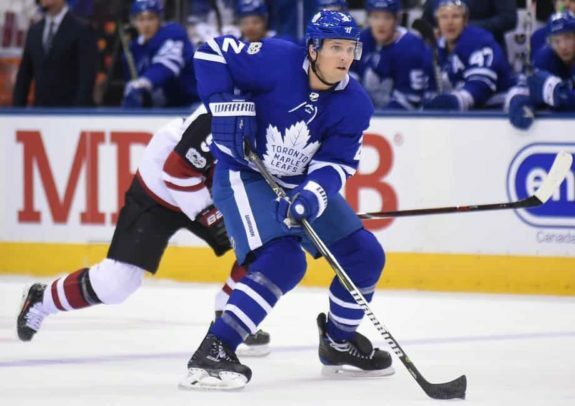 Although contributions from the likes of Morgan Rielly, Jake Gardiner, and Nikita Zaitsev will also prove critical, it is the play and presence of Hainsey which could help lead the Leafs on a long postseason run. 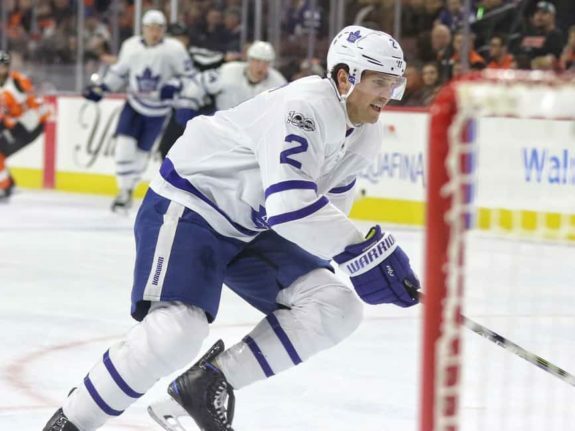 Boasting vast NHL experience, recent postseason success, and a broad understanding of the game, Hainsey and his veteran leadership could very well be the key to Toronto’s playoff push. Hainsey is not known for his offensive prowess. In fact, the native of Bolton, Connecticut managed just four goals and 23 points for the Leafs in his inaugural campaign with the franchise. However, it goes without saying that the Leafs did not ink Hainsey in order to lock down a dynamic defender. Instead, Toronto targeted Hainsey for his reliability and proven ability to defend his own zone with both confidence and consistency. It is these particular traits which were on full display in Hainsey’s first season with the Leafs. Averaging 21:52 of ice time per game during the regular season, Hainsey quickly established himself as an immensely capable defender for Head Coach Mike Babcock, and one who could be counted upon to play extremely well in a variety of situations. In fact, Hainsey logged 3:58 of short-handed ice time per game for Toronto in 2017-18, while his 318:29 of total playing time while short-handed was more than an hour and a half more than any other Leafs player. Further, despite logging such incredible playing time, Hainsey remained impenetrable within his own zone — earning a +12 plus/minus rating over the course of the season alongside a respectable 47.0 CF% and 102.6 PDO. Now, if Toronto hopes to defeat Boston in their first-round clash this postseason, Hainsey must continue his strong and impermeable style of play. Boasting Brad Marchand, Patrice Bergeron, and David Pastrnak on their top line, the Bruins own three 30-goal scorers who combined to form arguably the most dynamic trio in the NHL this season. Owning high-end skill and speed, Boston’s top-line has proven to be endlessly creative and dogged in their determination of the puck. In fact, these three players alone combined to score 99 goals during the Bruins’ regular season, or roughly 37% of all Boston’s tallies. So, taking into account Hainsey’s long-term consistency and his proven ability to defend players of incredible skill, what will the veteran need to do in order to slow the Bruins’ fiery offensive attack? Well, given the speed of Boston’s forwards, Hainsey will need to place a greater emphasis on his mobility and foot-speed. 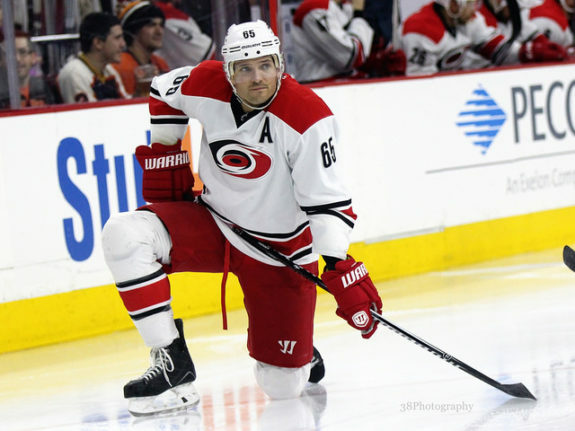 In order to stick with and smother attacking forwards, Hainsey must continue to read plays as they develop and remain one step ahead of his opposition. Once in range of Bruins forwards, Hainsey will need to utilize his quick stick and raw physicality in order to agitate and disrupt the creative and lethal plays devised by his opponent. If Hainsey’s clever and sophisticated defending can impede and irritate Boston’s brawn, it could lead to a greater number of powerplay opportunities for the Leafs in addition to fewer scoring chances generated against. As mentioned earlier, Hainsey is the only Leafs player who owns a Stanley Cup ring. Sure, all of Patrick Marleau, Dominic Moore, Tomas Plekanec, Roman Polak, James van Riemsdyk, and Frederik Andersen own a greater number of playoff games played, however, it is Hainsey’s recent experience which could prove to be the most valuable to Toronto’s on-going postseason run. 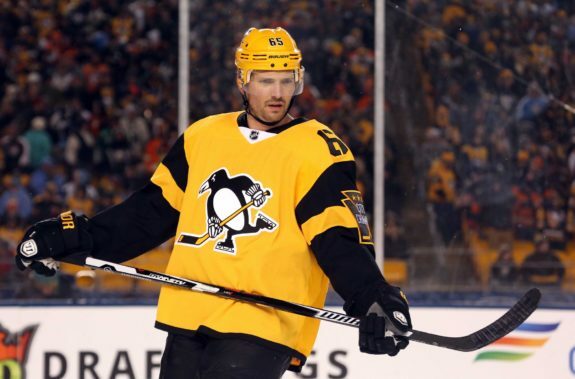 After failing to reach the playoffs in each of his first 13 NHL seasons, Hainsey finally broke through with the Penguins last season and played a crucial role in Pittsburgh’s second consecutive championship. Playing well over 21:00 of ice time per game, Hainsey added two goals and eight points in 25 playoff contests for the Penguins and was relied upon to shut down his opposition’s most skilled players. In fact, Hainsey stood as a dependable force on a decimated Pittsburgh blue line, regularly denying players such as Ovechkin, Backstrom, Filip Forsberg, Mark Stone, and Erik Karlsson. The Stanley Cup Playoffs are a wild and unpredictable beast, as emotions run rampant and have the ability to dictate the outcome a particular game. However, the strength to control these emotions is much more valuable, as doing so can stand as the difference between putting forth a complete team effort and an undisciplined debacle. Clearly capable of dominating the NHL’s most skilled players in high-pressure situations, Hainsey’s calm play and proven composure will be of massive importance to a young and relatively inexperienced Leafs roster. And, perhaps now more so than ever before, as Nazem Kadri’s emotionally driven and vicious hit to the head of Bruins forward Tommy Wingels has emphasized the – at times — negative effects of playoff hockey and its overwhelming pressure. Now, if Toronto wishes to overcome the loss of Nazem Kadri — one of their best shutdown centres — the team will need to rely upon Hainsey more so than ever before. First and foremost, Hainsey’s experience and understanding of the game will prove crucial, as he must calm his young teammates and reassure them of their abilities in the face of a dominating opponent. Secondly, Hainsey must be made painfully aware of his increased responsibilities defensively, as the loss of Kadri will lead to greater offensive zone time for the Bruins and their immensely talented and deep crew of forwards. When the Leafs inked Hainsey to a two-year, $6 million contract on Jul. 1, 2017, the significance of his incoming presence was not entirely known. However, following his first season of play with Toronto, Hainsey’s value as a strong and steady stay-at-home defenceman cannot be denied. Clearly capable of dismantling plays developed by his opposition and incredibly consistent in doing so, Hainsey’s dependability, reliability, and leadership within a young Leafs roster has proven to be of unquantifiable importance. Willing to log major minutes in difficult situations and capable of succeeding in various circumstances, Hainsey’s playoff experience and composure have and will continue to prove crucial to Toronto’s success in the current postseason. Battling against a formidable opponent and long-time rival, Hainsey’s ability to calm his teammates and play with composure should allow for a calculated and purposeful effort by the Leafs. Further, Hainsey’s stingy defence and consistency within his own zone should allow Toronto to weather Boston’s overwhelming attack. In short, Hainsey is an incredibly valuable asset both on and off of the ice. As a proven playoff performer of ample experience, Hainsey’s presence and play could come to define the difference between a long playoff run and a short postseason stint for this incredibly promising Leafs roster.